In my last post i have showed you how to install Google Chrome on openSUSE 12.1; I have installed Google Chrome as root user and when I tried to start Google Chrome it given a following error. I was looking for the solution; by googling I have found easy way to enable root user to run Google Chrome. Follow the steps to run Google Chrome as root user in openSUSE. Edit the /usr/bin/google-chrome and add the “–user-data-dir” at the end of the last line (Line No: 42). That’s all. 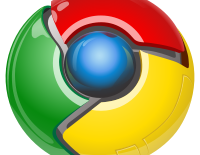 Now you can start Google Chrome from menu as root.